So I'm a bit behind on any bit of reading or writing tidbits...instead of listing off excuses, let me get down to business by going clear back to the beginning of the summer when I was into reading Edith Wharton. Anyway, as I logged into my Shelfari account to do "my reviews" on Frome and Mirth, it occurred to me how demoralizing it would be for Edith to be receiving a 3 star from some unknown self-published flunky of an author like myself. But truly the purpose of Shelfari isn't necessarily to grade writing, would you agree? Obviously, if I were rating her novels on writing, she'd be receiving way beyond five stars. She's a completely brilliant writer - a great author for writers to study in terms of prose, character development, setting a scene and making a political statement through a story line. But it terms of pure enjoyment, I couldn't honestly give it anything over a 3 star. So sorry Ms. Wharton. Both stories made me too sad. Anyway, it was difficult to pick up anything after reading two classic Wharton novels in a row. Not so much because of the sadness. Everything I started to read seemed so, so trite! 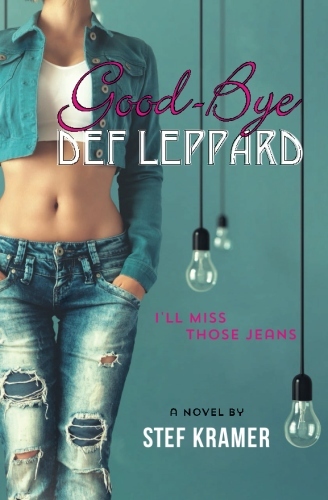 (And that's coming from someone who wrote Goodbye Def Leppard, I'll Miss Those Jeans.) I actually stopped reading the first book (which need not be named). Finally, I started a Young Adult detective novel - The Sweetness of the Bottom of the Pie. It was the perfect read after Edith's tumultuous novels. That delicious review to come later.